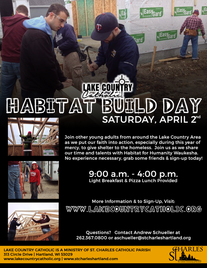 We are starting to volunteer with Habitat for Humanity here in Waukesha County. If you are interested in joining us on Saturday, April 2nd, we would love to have you. Join other young adults from around the lake country area as we put our faith into action, especially during this year of mercy. 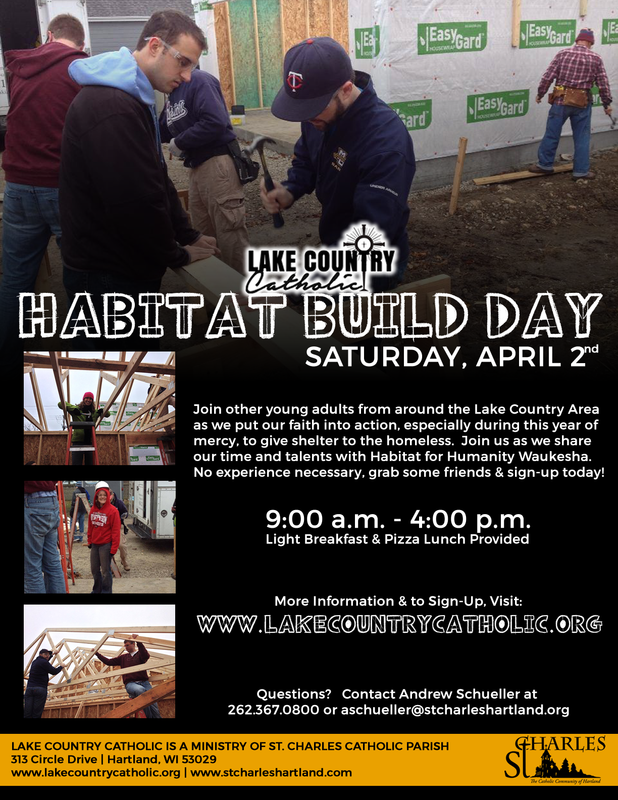 Help us provide shelter for the homeless as we work with Habitat for Humanity of Waukesha County. We will meet on site at 8:50 a.m. and a light breakfast will be available. We will break for lunch at noon (St. Charles is providing) and then work until 4:00 p.m. Please Sign-Up so we know who is coming to we can pass along vital information and get a count for breakfast and lunch. Please also fill out and bring this liability form on April 2nd. If you have any questions contact Andrew Schueller at 262.361.3535 (cell) or aschueller@stcharleshartland.org.